So today I decided to ride instead of run. The 2015 LA Marathon was this morning! My goodness, it was beautiful! My friend, Eric, and I went for a bike ride down the course to the finish line with intentions of cheering on the runners, whether they were teammates of ours or not. Well, there we a few mishaps throughout the day, but that makes for a great story! I got off work at 730am and headed home to get ready for the event! Showered and put on my team running shirt, packed my backpack and put my padded shorts on! Sounds like I’m ready, doesn’t it! Well, I was but my bike wasn’t… My bike tires are flat and I don’t have the correct pump for it! Running late, as usual, Eric finally shows up to my house and we load up. On our way to LA we hit a Big 5 so I can buy a pump that will work on both of our bikes! 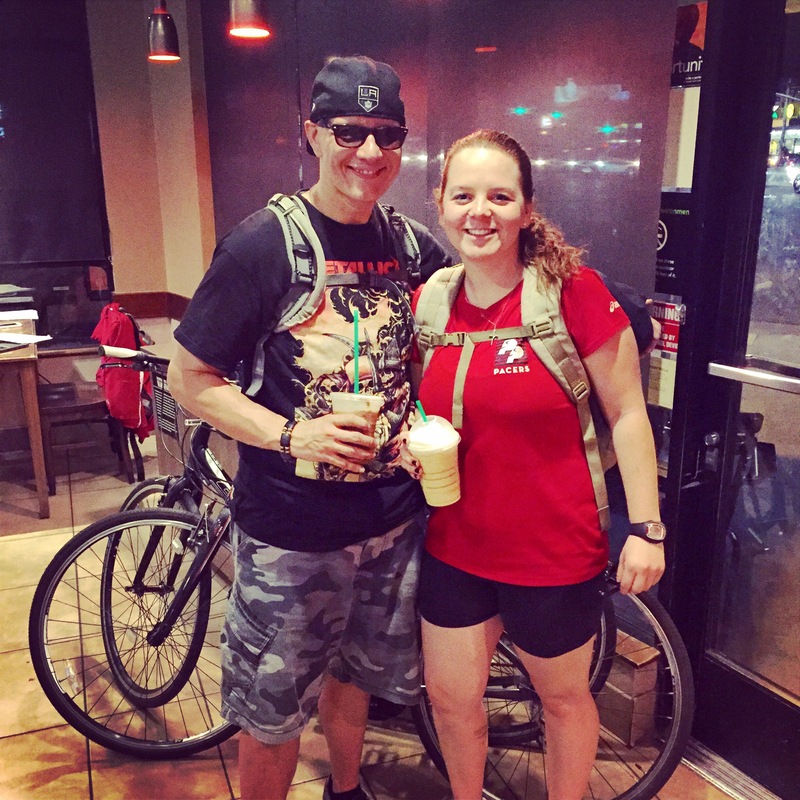 We drove into LA and found a side street by a Starbucks to leave the car and start our ride! We are well into our second mile and I hear a loud clinking noise. I looked back to find Eric walking his broken bike over to the near-by curb. Runners are passing us as we sit on the side of the route cheering us on! Haha! It was so funny how the roles turned. Quick thinking lead us to the decision that Eric just needs to buy a better bike! I let him take my bike to go get the truck and come back to pick me and the broken bicycle up. We headed to the nearest bike shop to pick out a beauty! 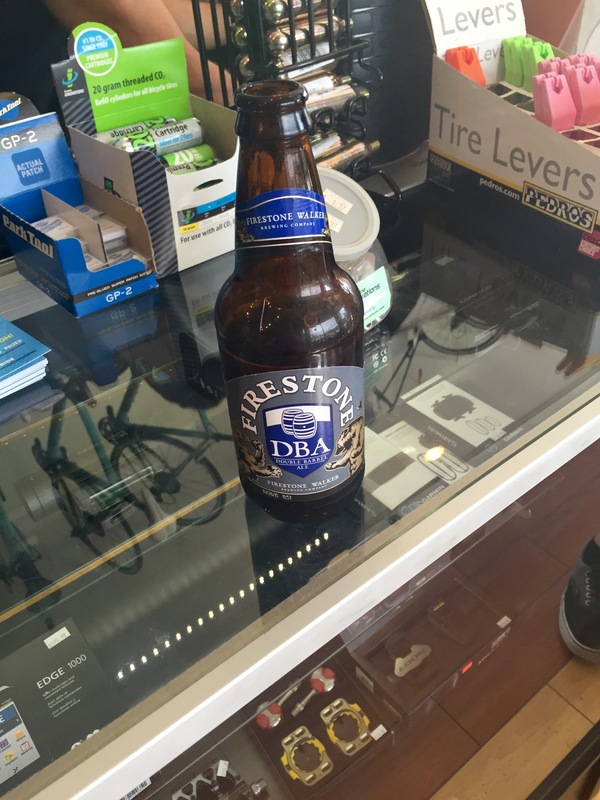 The bike shop owner saw what a rough start we were having so offered a cold drink while we found the perfect bike! Since we were in a rush to get back, it didn’t take too long. We picked out a beauty, Eric tried it out, and back to Starbucks we went. Finally back on the road, riding the course and cheering the runners on like planned. We were passing people that passed us an hour prior. It was fun to see their faces when they recognized we were the ones struggling. Here they were, mile 20 and seeing how the struggle is always temporary. They started picking up their feet a little higher and were singing along with my music. It was awesome seeing all the different ages out there and hearing their stories! We finally made our way to the finish and found our girl, Jessi! She finished running her very first full marathon! I don’t think our small family of runners could have been any more proud! 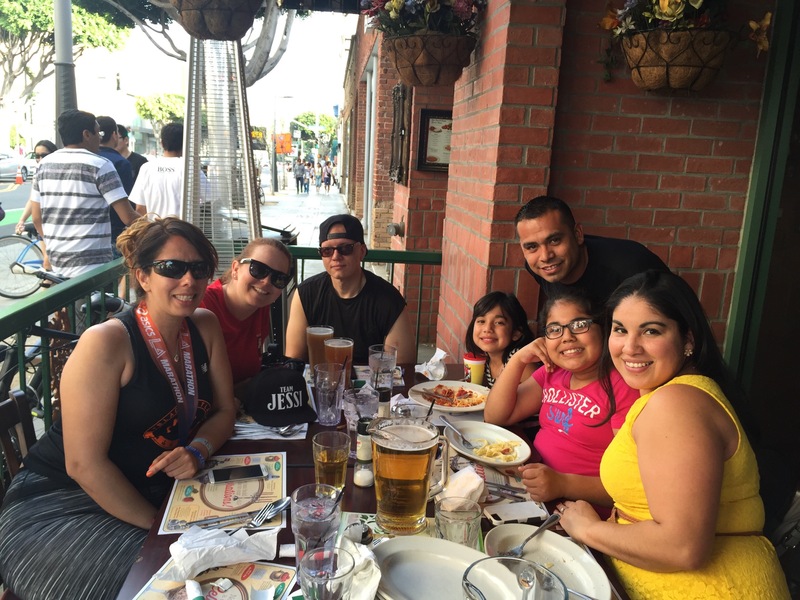 To celebrate, we parked our bikes at Buca Di Beppo and had pasta, pizza, and beer!